LG’s latest flagship, the V20 that was unveiled in September may soon be launched in India. The device is expected to launch by the end of November. According to reports the device is expected to be priced at Rs. 49,990. The LG V20 is the first device to come with Android 7.0 Nougat out of the box. The V20 comes with dual screens. Let’s take a look at the specifications of the device. The LG V20 runs on Android 7.0 Nougat with LG UX 5.0 skinned on top. The V20 is the first device to come with Android 7.0 Nougat out of the box. The device features a 5.7 inch Quad HD IPS display with a resolution 2560 x 1440 pixels with a second 2.1 inch second display with a resolution 160 x 1040 pixels. The display comes with Corning Gorilla Glass 4 protection. The LG V20 is powered by a Quad Core 2.15 GHz Qualcomm Snapdragon 820 processor clubbed with Adreno 530 GPU. The device comes with 4 GB RAM and 64 GB of internal storage. It comes with a dedicated microSD card slot and the storage can be further expanded up to 256 GB. 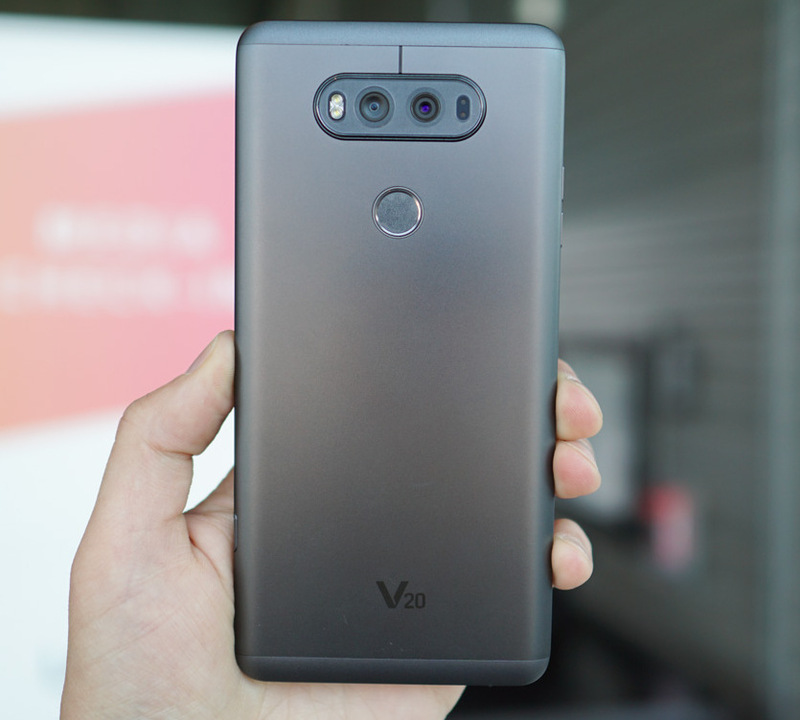 Coming to the camera department, the LG V20 features a dual camera setup. It comes with a 16 MP primary camera with f/1.8 aperture, laser autofocus, OIS and LED flash along with a wide angle 8 MP camera with f/2.4 aperture. The device sports a 5 MP secondary camera with f/1.9 aperture. The LG V20 is powered by a 3,200 mAh user removable battery and comes with Quick Charge 3.0 support. Connectivity options on the device include 4G LTE, Wi-Fi 802.11 a/b/g/n/ac, Bluetooth 4.2, GPS, NFC, Infrared Port, a Type-C 1.0 reversible connector and FM Radio. 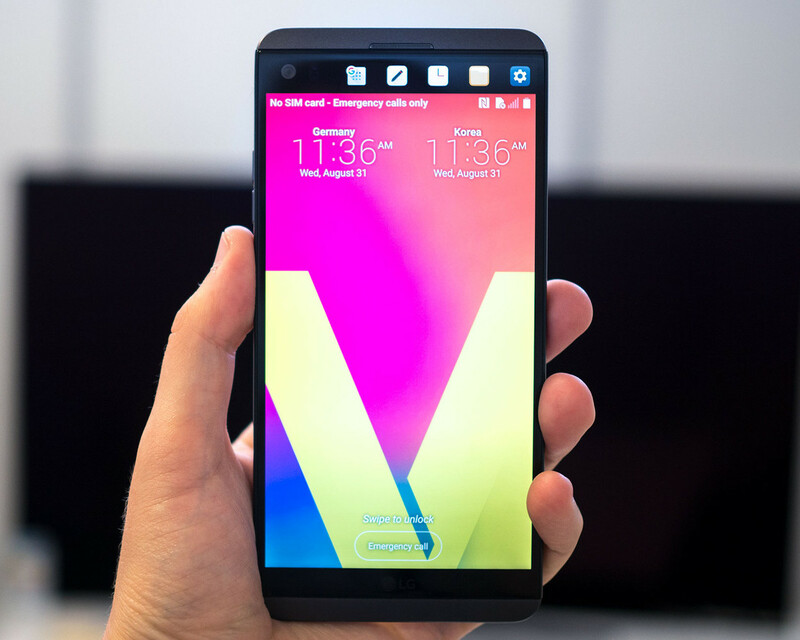 The LG V20 is expected to launch by the end of November and it may be priced at Rs. 49,990. The device will come in Titan, Silver and Pink color options.